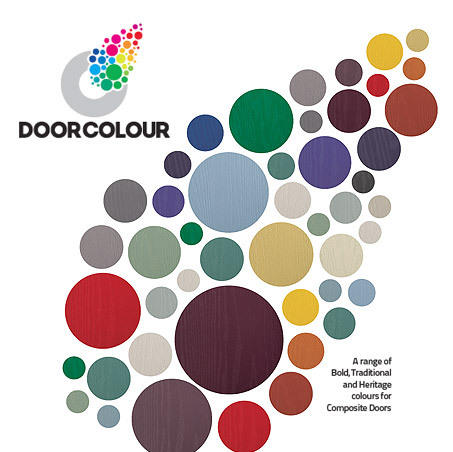 DoorColour is the latest innovation from Decorative Door Products and is a uniquely formulated paint system for colouring GRP Composite Doors, glazing cassettes and even PVC frames. Based on the highly successful glass paint ColorSpray from our CadRam divison, the system enables you to create any colour you want and gives a hardwearing, tough finish that will stand the test of time and whatever the weather throws at it. With an unrivalled range of colours available and a turnkey start up package combined with market leading support, DoorColour is the perfect solution for you and your customers. When green, red or blue will not do! For years the only really viable colour option for GRP composite doors has been the manufacturers "standard issue" green, red or blue. Now with DoorColour a whole new world of colour opportunities opens up and customers can get a real choice. ColorSpray GRP has been developed by our own in-house team as the solution for spray painting onto GRP, ASA,ABS and PVC with a single product. With over a decades experience in manufacturing paint systems for the glass industry we have adapted our own unique formulations that meet the exacting requirements of the composite door industry.